being little • bristol uk fashion & lifestyle blog. 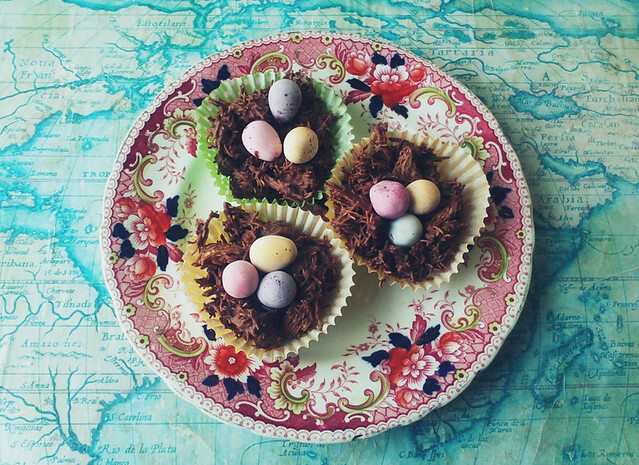 : easter nests! • Melt chocolate in a bowl over a pan of hot water. • Break up shredded wheat cereal and mix into the chocolate, until it's all covered and you have the ratio of chocolate to cereal how you'd like it. • Lay out cupcake cases and fill with the mixture. 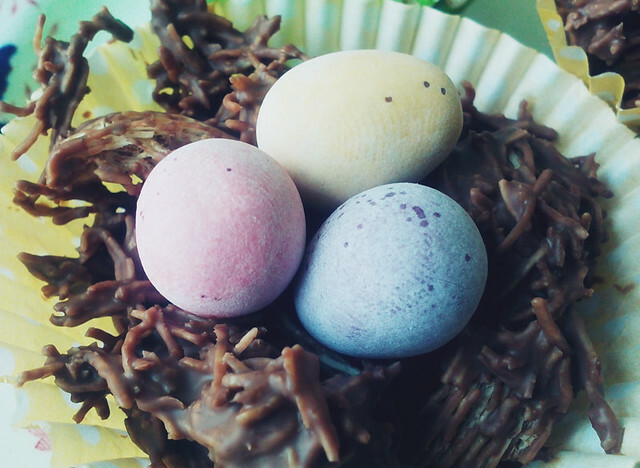 Pop three mini eggs on top! • Leave in the fridge for about an hour to set. I might make some of these today! How cute and they look so yummy too! Very cute, I can't wait to try making these! aah they look so good! they sound pretty easy to make too, you've made me want to try it. have a good easter! i love them! they look so damn cute. Never thought of doing it with shredded wheat - looks so much more like a nest! Yum, would quite like to eat one of those right now! !